A few days back while going through a book, I got hooked on a phrase by Pablo Neruda, a Latin American poet of 20th century. 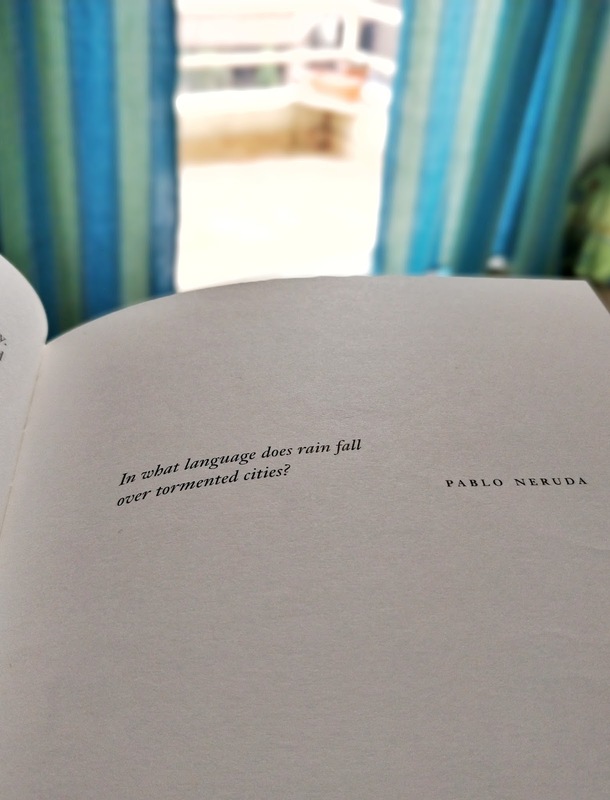 "In what language does rain fall over tormented cities?" He was quoted. I believe without sufferings, life lacks meaning. It is a journey that has its own turns and haults. You are the driver and the only passenger. You discover yourself to a new destination, spend some time, have some experience, bear the sufferings through a little or a more. You set your own goals, fight back with maturity and shatter the impossibilities. Don't back out if you find yourself alone in your journey. Rains will bring relief to your barren land of dreams and drench the thirst of your tormented soul.Sooner or later, you will emerge victoriously and oh boy! that day will be yours. Always remember, you are the creator of your own destiny, your own thoughts, and things. You are your own best friend and then my friend you will never feel alone. Stay strong and move on. May the happiness and positivity always be with you.